Few moments in life can beat that feeling of getting in a brand new car for the first time. You serenely sit there, hands on the steering wheel, take in a big inhalation to make the most of that new car smell, grin at the big fat zero on the odometer, shuffle in the seat to get comfortable and savour the noise of that first ignition. And then someone else gets in the car. Or you offer to give someone a lift anywhere because you don’t want to be anywhere other than in your new car. Or someone wants to immediately go through the KFC drive-thru. This is where the problems start. This is where fallouts begin. And this is where the pet peeves inherent in driving a new car come to the forefront. If we go back to that ‘someone wants to immediately go through the KFC drive-thru’ sentence a second, we arrive at pet peeve number one. 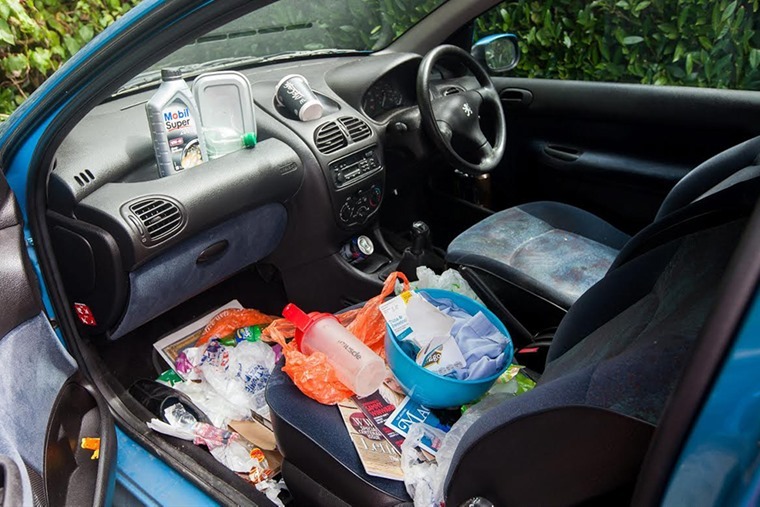 It’s bad enough that that lovely new car smell immediately gets replaced with the smell of the Colonel’s finger lickin good fried chicken, but due to the sheer number of receipts, napkins, forks, spoons, sporks and straws (in plastic) your car will also soon end up looking like a mobile recycling factory. Some of which will inevitably get left in the car. Even if you’re smart about the way you eat in the car (hint: the pocket near the door handle is perfect for holding fries, and the glove compartment can be used as a makeshift tray) chances are that after you’ve got rid of all your bones and assorted rubbish and dropped your mate back home (s)he’ll have left their cup of Tango in the tray. Do. Not. Touch. The. Button. 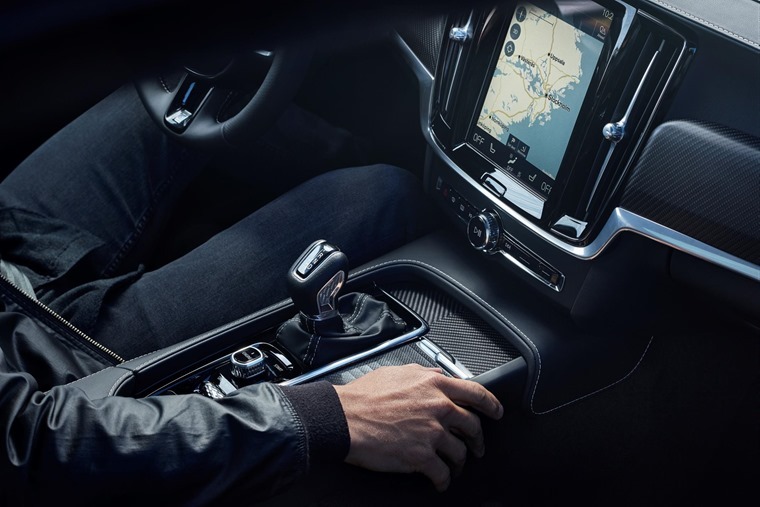 If you have the honour of being transported in a new car, or going on a long road-trip to break it in, you must put up with whatever the driver is listening to – even if it’s just Jeremy Vine on Radio 2. Nah, just kidding, you can definitely change the station if Jeremy Vine is on (maybe). Like the famed fairy tale states, things are often too hot or too cold before being just right. It’s hard to please everyone when it comes to heating, and not to sound like a broken record but, erm, Do. Not. Touch. The. Button. 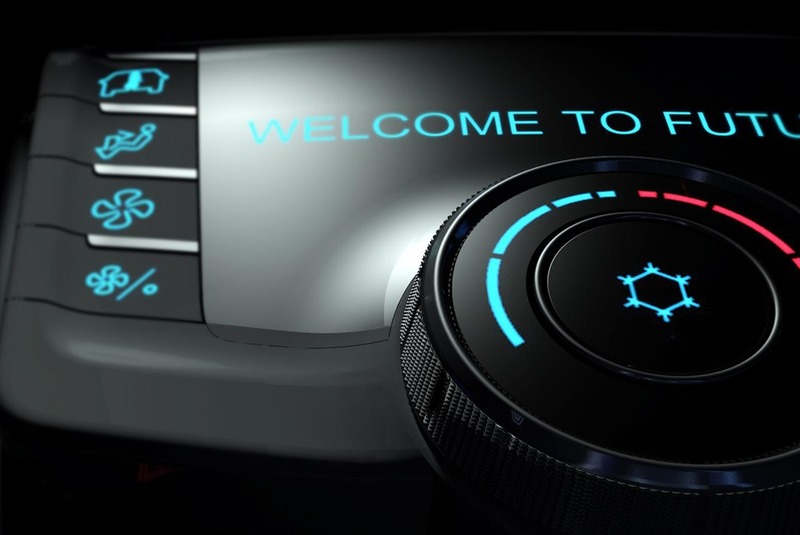 If you have the honour of being transported in someone’s new car, you must travel at a temperature which is comfortable for them. Not that the driver will be merciless to your fluctuating temperature. If you’re lucky most new cars come with alternate heating for passenger and driver, but if not and you’re too hot/cold just ask first before reaching out and turning the heating off. If you do this without asking you may find yourself having to make alternative travel arrangements after being turfed onto the side of the road. 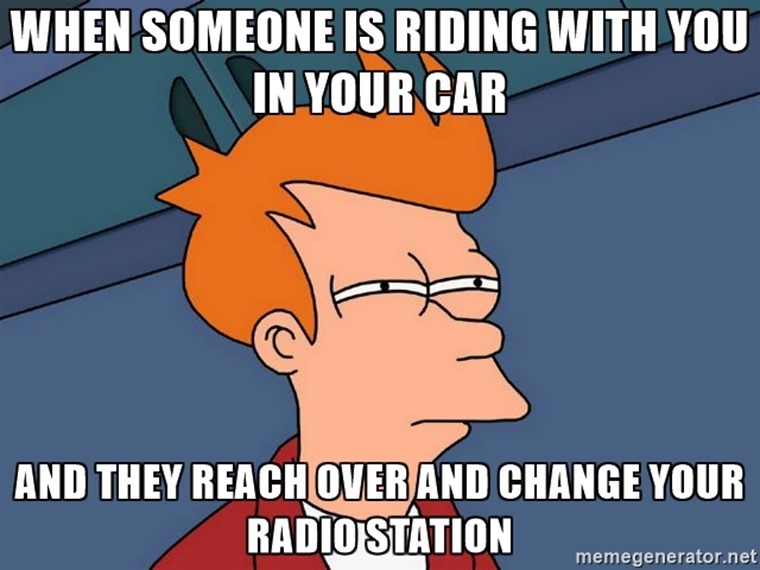 We’re all guilty of this, even the drivers. What can we say, sometimes it just can’t be helped. But what’s the solution without looking like some germaphobic crazy person? You can’t keep shoe-bags in your car. 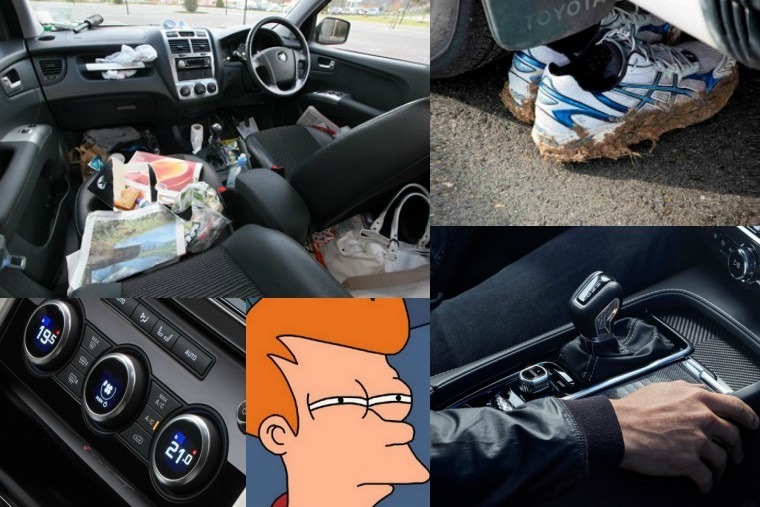 You can’t carry around spare shoes or slippers for each passenger to put on prior to entering, and you can’t ask them to travel with nothing on their feet (your car smelling of sweaty feet is much worse than your car smelling like fried chicken). I guess the best you can do is just ask passengers to scrape their feet on the pavement prior to entering (or just embrace your inner crazy and implement one of the above solutions). Just like on trains and planes, the armrest can sometimes turn into a war of attrition, but if there’s one space you shouldn’t have to be passive-aggressively nudging the other person all the time it’s in your own car. Dare I say it but this is the equivalent to the passenger putting their hand on the steering wheel – it’s a definite crossing of the line into the driver’s domain and when you’re a new driver it’s important to *ahem* mark your territory. If this involves nudging their arm off the centre console or pretending you need something in there so they’ll open it up and you can quickly put your arm on it then so be it. You cruising in comfort is all that matters.